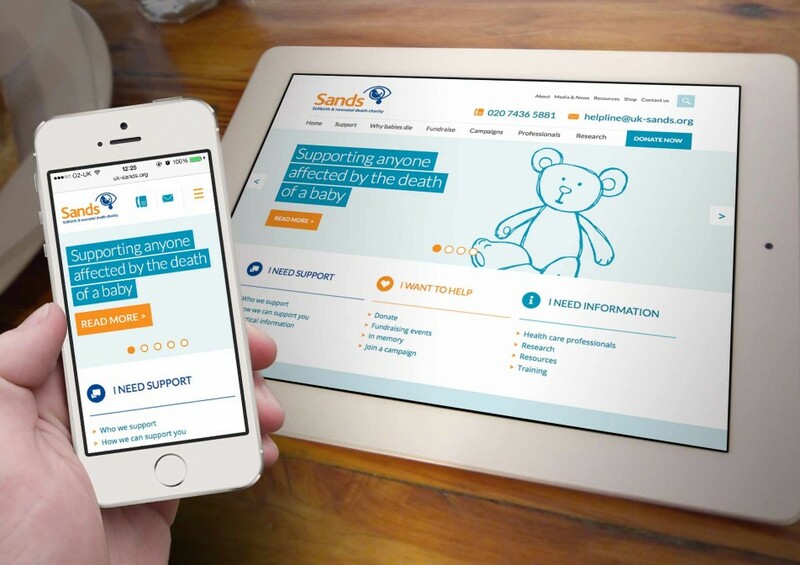 Sands, the stillbirth and neonatal death charity, wanted a website that was attractive, user-friendly and navigable. 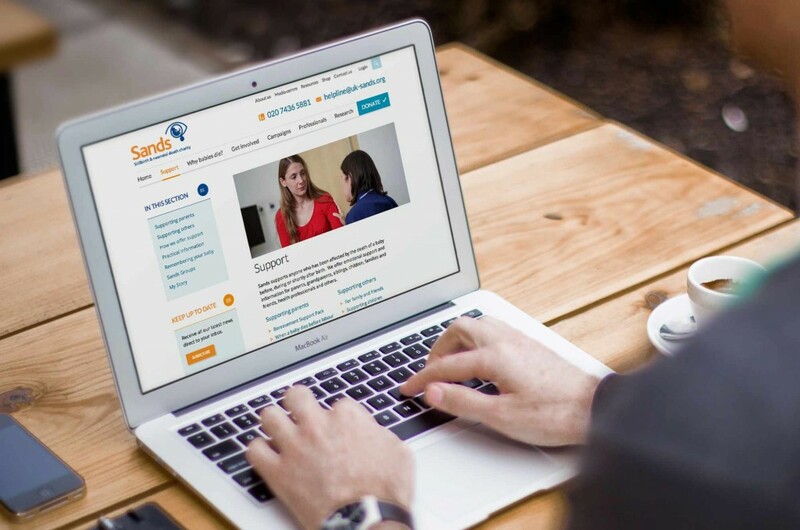 Crucially, they needed to create clearly defined journeys for their three core audiences: those people who need support, those who need information and those who want to help. 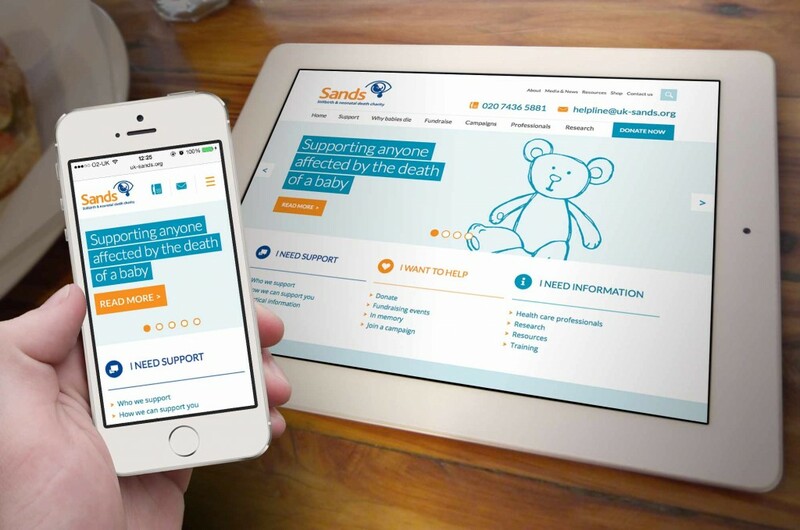 As with many smaller and medium-sized charities, Sands website had grown organically, with content added sporadically as and when required. 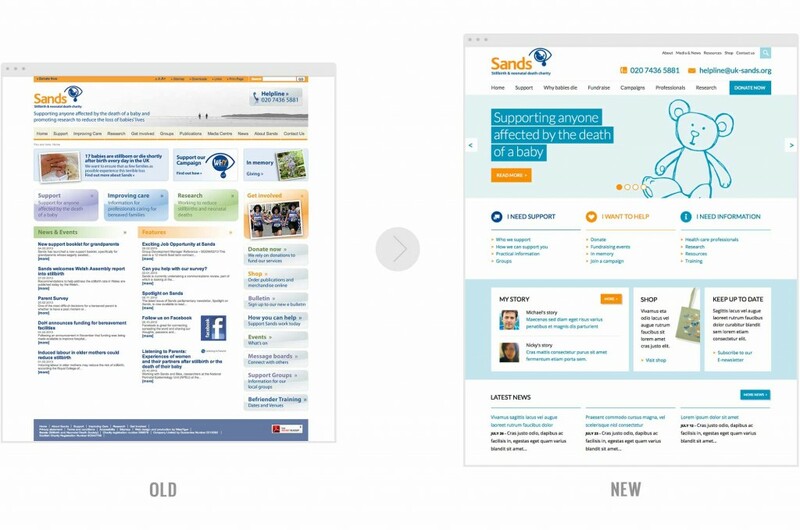 This resulted in a lack of identity and focus, with users sometimes struggling to find the information they needed. 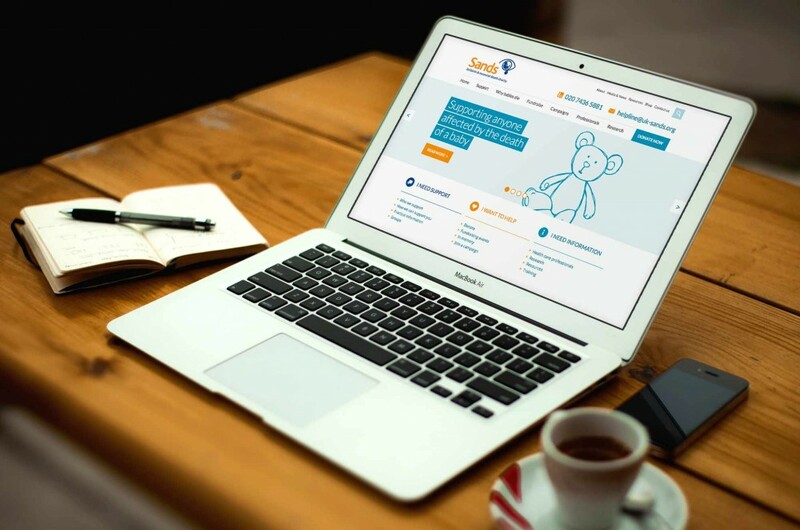 We restructured the website in a navigable, user-friendly way – capitalising on SEO, whilst providing Sands with a fresh, modern, responsive design for it’s users. The website was built on the Drupal Content Management System. Events listing – Search, filter and order functionality was added, along with time-sensitive automatic removal of past events. Nearest group search – Postcode/city lookup for the user’s nearest support group. Centralised resources – Documents, leaflets and booklets are all now centralised and organised so they are easier to find and manage with the CMS. Content moderation – Offline content checking procedures were replaced with an automatic, less labour intensive online content moderation and publishing workflow system. When people visit the new website, they view more pages and they stay longer.